Crying King David: Are the ruins found in Israel really his palace? Beauty and biblical evidence both lie in the eye of the beholder, it seems. No evidence of the events described in the Book of Genesis has ever been found. No city walls have been found at Jericho, from the appropriate era, that could have been toppled by Joshua or otherwise. The stone palace uncovered at the foot of Temple Mount in Jerusalem could attest that King David had been there; or it might belong to another era entirely, depending who you ask. Archaeologists always hope that advances in technology will shed fresh light on at least part of this ancient mystery: Did the Bible really happen? So far, what discoveries there are, tend to indicate that at the least, the timelines are off. Of what? No evidence that the children of Israel sojourned in Egypt, passed through a miraculously parted Red Sea, wandered the Sinai Desert for 40 years or indeed any years, and no evidence that they conquered the land of Israel and divided it up among 12 tribes of Israel. The renowned archaeologist also shared his suspicion that David and Solomon’s "United Kingdom," described in the Bible as a regional power, was at most a minor tribal domain. "Jehovah, the God of Israel, had a wife and the early Israelite religion adopted monotheism only towards the end of the period of the kingdom, not at Mount Sinai,” Herzog also wrote. 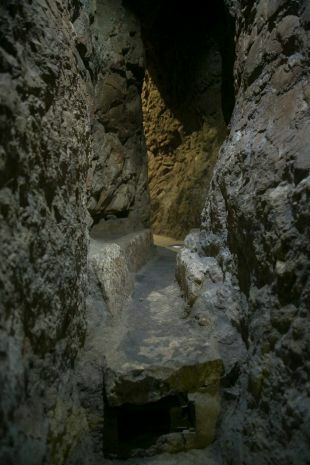 The unbridgeable gap Herzog described between the Biblical tales and the archaeological findings was nothing new, to researchers. Israeli archaeologists have long thought as much, based on biblical criticism theories originating in Germany during the early 19th century. The general public, however, was shocked. Today, 18 years on, armed with cutting-edge dating and molecular technologies, archaeologists increasingly agree with Herzog that generally, the Bible does not reflect historical truths. But the jury's out on several key issues, and at least some stories have been bolstered by actual discoveries, for instance, in the copper mines of Timna, the mysterious powerful fort of Qeiyafa, and in Jerusalem itself. Among archaeologists, the camps have split according to academic institution: In Jerusalem the biblical (maximalist) camp dominates, for instance arguing that the impressive palace found in the City of David practically had to have belonged to David. In Tel Aviv, the critical (minimalist) camp prevails in Tel Aviv, arguing that there is no evidence to buttress the bible, and that the palace in Jerusalem evidently doesn't date to the Davidic era. The founding fathers of Israeli archaeology explicitly set out with the Bible in one hand and a pick in the other, seeking findings from the biblical eras, as part of the Zionist project. But as excavations progressed in the 1970s and 1980s, rather than substantiation, what began to pile up was contradictions. In Jericho no wall was found from the era that Joshua was supposed to have lived, around the mid-13th century B.C.E., that he could have caused to tumble down. No evidence has been found that a large new group of people entered into Canaan during the post-Exodus settlement period. There is, in fact, no evidence to substantiate Exodus. In Jerusalem, no concrete remains have been found from the purported glorious United Kingdom, and nowhere is there ex-biblical evidence of the kings David or Solomon either, with the possible exception of the "Beitdavid" inscription (more on that below). Nor do major archaeological tells conform to biblical descriptions, until after the period of the purported United Kingdom. The last 18 years of digging have changed basically nothing about the very earliest Biblical periods, for all the advances in archaeological technique. Archaeology has not been able to find the Patriarch Abraham, or signs of his heirs. There is no evidence that the Children of Israel ever went to Egypt, or fled it in the Exodus. 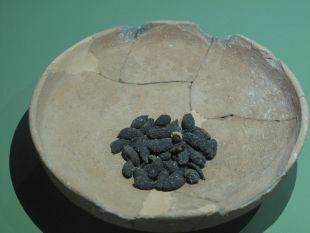 Israeli archaeology was late to adopt carbon-14 dating techniques, and until recently dated sites relying largely on pottery. 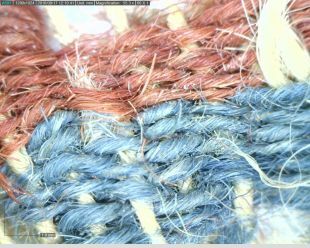 Today not only is C-14 being used to date organic materials: advanced techniques enable inorganic materials and structures to be dated as well. And the new discoveries occasionally rock the boat, in both camps. If anything, archaeologists find inconsistencies between the biblical accounts and the facts. For example, the Book of Genesis mentions camels, but the earliest domestic camel bones found in Israel date to around 930 B.C.E., about a millennia after their appearance according to the Bible. Ditto the Philistines, who seem to have actually sailed to the Holy Land only centuries after the Bible says they did. Genesis 21:34 for instance says, "And Abraham stayed in the land of the Philistines for a long time." That seems anachronistic. Genesis 26:1 adds: "And there was a famine in the land, beside the first famine that was in the days of Abraham. And Isaac went unto Abimelech king of the Philistines unto Gerar." Famine was likely but the Philistines weren't supposed to live there in Abraham's time. No evidence has been found of ancient Hebrews in Egypt, or of their subsequent passage through the Sinai. Few (outside the observant community) dispute that the scripture is not a reliable description, though some argue that even if masses of people trooped through the desert, even for 40 years, they wouldn't necessarily leave any traces behind. They would have sheltered in tents, not erected stone buildings, and their footsteps are long vanished from the sand. Another snag is that Egypt itself ruled the Land of Israel at that time of the purported Exodus. Even if the Children of Israel fled from Egypt, they would just have reached another territory under Egyptian control. It is hard to find a mainstream archaeologist prepared to defend the biblical description of events. There, in 18 years, nothing has changed. One who firmly believed in the authenticity of biblical lore, and who penned a fierce rebuttal to Herzog, was Professor Adam Zertal of Haifa University (1936-2015). 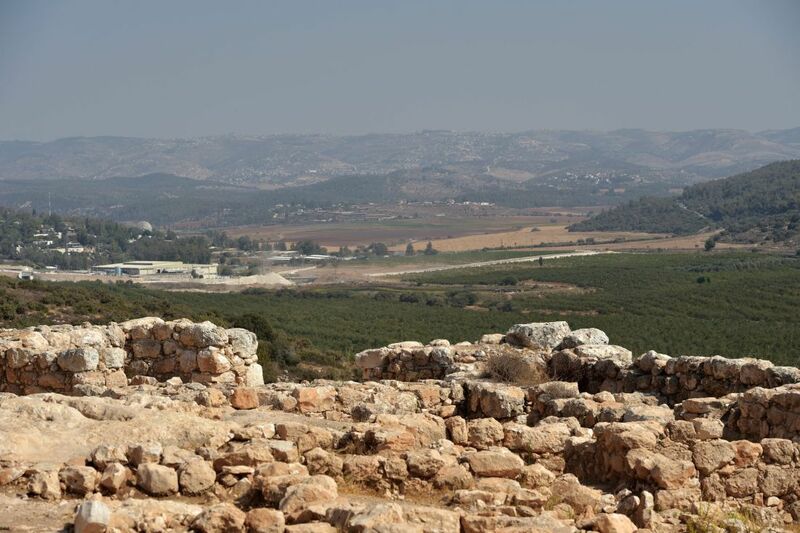 He conducted a huge survey (a descriptive report, without excavation) of archaeological sites in the West Bank and listed about 200 small sites in the Samarian hills. The most famous is a large cultic structure that Zertal identified as none other than the altar Joshua erected on Mount Ebal. "Then Joshua built an altar to the LORD, the God of Israel, in Mount Ebal, just as Moses the servant of the LORD had commanded the sons of Israel, as it is written in the book of the law of Moses, an altar of uncut stones on which no man had wielded an iron tool" (Joshua 8:30 31). Even with the latest technology, nobody can tell what the Mount Ebal site really was. Nor is Joshua's existence bolstered by other evidence. For instance, no remains of a city wall have ever been found at Jericho from Joshua's era (about the mid-13th century B.C.E.) Other cities that are mentioned in the story of the conquest did not even exist during that period. 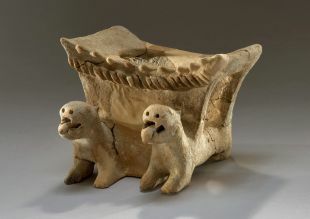 In any case, most archaeologists now agree that the Israelite-Jewish identity arose from traditions that developed among the inhabitants of Canaan. It was not brought from outside by invaders. The most ferocious dispute is whether a united kingdom, ruled by kings David and Solomon, ever existed. The Bible describes a regional power with its capital in Jerusalem that controlled extensive parts of the Land of Israel. Five years before Herzog’s article in 1999, Avraham Biran discovered a Hebrew inscription at tell Dan bearing the word “beitdavid” – the House of David. Believers claim it's extra-biblical evidence that the great king existed; others say that could refer to any David. Or to something else entirely. The critical camp argues that a century of excavations in Jerusalem and elsewhere indicates that David and his sons, if they existed, ruled a fairly small, remote hill town, no more. There is no evidence of the existence of a large and powerful kingdom in the hills in the 10th century B.C.E., they say. Professor Israel Finkelstein, a father of the critical thesis, suspects the biblical descriptions of David's kingdom conflated two unrelated elements. One is a historical memory of the northern Kingdom of Israel, with its capital in Samaria: a larger, more powerful kingdom than the southern Kingdom of Judea, which was destroyed by the Assyrians not long before the biblical stories were compiled in Jerusalem. Refugees from the northern kingdom came to Jerusalem, bringing with them stories that were integrated into the text. The second element was the political and religious interest of kings of Judea, under whose auspices the Davidic texts were written. “The great and glorious kingdom was a glorious kingdom-to-be, the one that was yet to happen," Finkelstein postulates. "There may have been a unified kingdom, but it was ruled from Samaria. Judean writers adopted the idea and made it their own years after the fall of the northern kingdom [of Israel]." Even the most enthusiastic supporters of the biblical approach are unable to say what the name of that glorious unified kingdom was, Herzog stresses. Anyway, after the dissolution of the hypothetical unified kingdom and the establishment of the independent Kingdom of Judea, the findings on the ground begin to match the scriptural text to a greater extent. And in the 18 years since the publication of Herzog’s article, the biggest, most inflammatory message has come not from Jerusalem, but from Tell Qeiyafa. Khirbet Qeiyafa is a not particularly sizable hill in the Judean plain above the Valley of Elah, where an extraordinary archaeological site was discovered, including a round, walled enclosure, two gates, several structures by the gates and a large building in the center. And ten olive pits. The real drama lay in the recent dating of the olive pits. Carbon-14 tests showed that they, and the fortress, had existed at the end of the 11th century B.C.E. and the early 10th century B.C.E. In other words, they were precisely from the days of King David’s postulated rule in Jerusalem, according to Scripture. Though mighty, the edifice was evidently short-lived. At most, Qeiyafa seems to have survived a few decades. 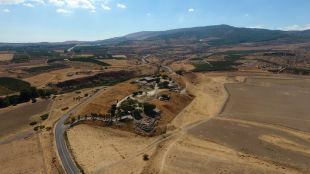 But the sheer possibility that a fortified settlement (or fortress) existed in the area of Judea during the Davidic era bolsters the maximalist, faithful view, and contradicts the minimalist opinion that the urbanization of the hills only began in the 8th century B.C.E., before which Jerusalem was merely an oversized village that controlled nothing. 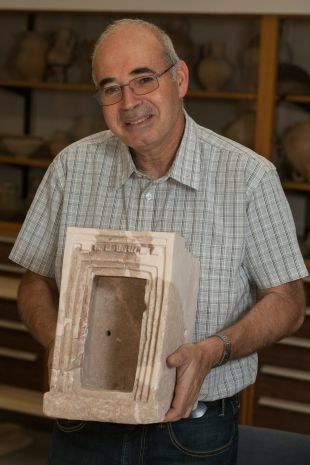 Key to the Qeiyafa story is the head of the dig there, Professor Yossi Garfinkel of Hebrew University, who excavated it with Saar Ganor of the Israel Antiquities Authority. 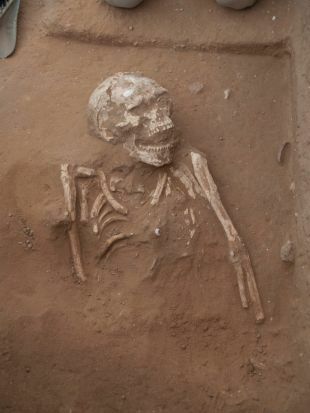 Originally a researcher of the prehistoric era, Garfinkel didn't belong to any camp before he began digging at Qeiyafa. Post-olive pits, he belonged firmly to the biblical camp. “I remember that when I sent in the carbon-14 samples in 2006 I was so excited that I accidently put my credit card in with the samples," he says in his rapid clip. "A few days later an email came from Oxford – they thought that it was how I wanted to pay for the test." Everything hung in the balance – either the Bible or the minimalist camp headed by Israel Finkelstein, he says. "If it came out 800 (B.C.E. ), I would have received an honorary doctorate from minimalist Tel Aviv. If it came out 900 B.C.E., it would have been possible to argue; with 1000 B.C.E., there is no argument. In retrospect it is possible to say that I found David but I didn’t think of that at the time." No, he isn't saying that the bible is literally true, just that whoever wrote the story of David killing Goliath in the Valley of Elah clearly knew of what he wrote. "It doesn’t mean that David and Goliath actually existed. But whoever wrote the story was familiar with the reality,” says Garfinkel. No one disputes the uniqueness and importance of Qeiyafa, but the truth is that it settles nothing. Critical researchers wonder for instance who exactly lived in Qeiyafa and what relationship it had with Jerusalem. 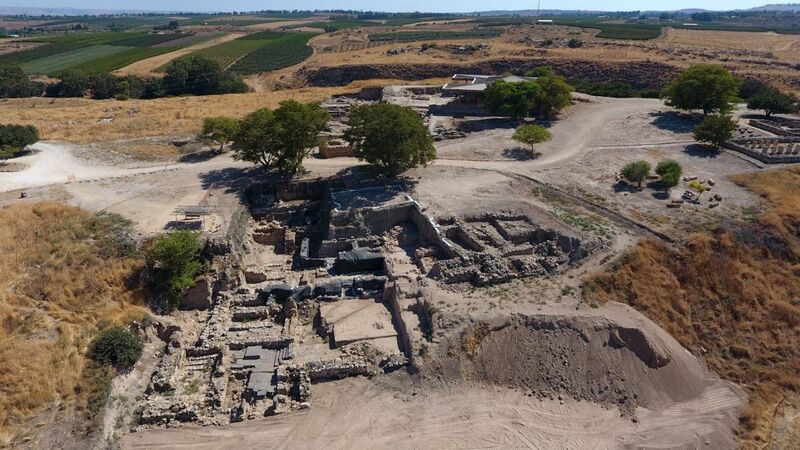 Meanwhile, in recent years Prof. Aren Maier of Bar-Ilan University has been digging deeper at Tell Tsafit, site of the powerful Philistine city of Gath, which is right near Qeiyafa. Gath's sheer might and wealth compared with evident relative poverty at Qeiyafa reinforces the perception that if Qeiyafa was a forward fortress of a Jerusalemite kingdom, it was not a powerful kingdom in comparison to the Philistine neighbor in the plain. Not to mention, the Philistines of Gath most likely were the ones who conquered Qeiyafa just 20 or 30 years after it was built. “There is a limit to how many conclusions about Jerusalem can be drawn from Qeiyafa,” Finkelstein cautions. Jerusalem is the critical camp’s trump card. In the 18 years since Herzog’s article, the historic tell of Jerusalem, which descends from the Temple Mount to the Kidron Stream, via the neighborhood of Silwan, including the so-called City of David, has been dug up like never before. Yet as the vast majority of archaeologists would agree, with the exception of a few controversial sites which we'll come to in a moment – the capital of a unified kingdom of David and Solomon has not been found. 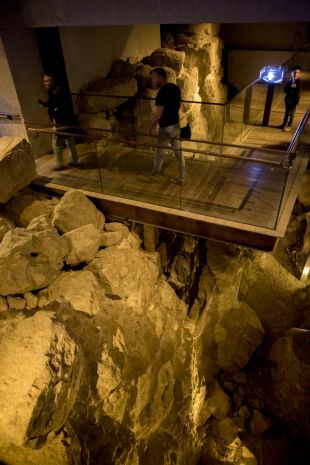 Ben-Ami, now the chief archaeologist for the Central District at the Antiquities Authority, excavated the largest site in Jerusalem in recent decades, the site formerly known as the Givati parking lot by the Old City of Jerusalem. In the layers that have been peeled off, evidence was found of the entire lifespan of Jerusalem: an Ottoman baking oven, a Byzantine gold hoard, a Roman farmhouse, a Seleucid fortress, a Hasmonean house, down to findings from the period of the Kingdom of Judea in the 9th century B.C.E. Beneath that level, nothing was found. The Givati parking lot is not unique. For all the discovery that Jerusalem has been occupied for some 7,000 years, it hasn't produced many findings from the period of David and Solomon, the 10th century B.C.E. Earlier periods, the Jebusite and Canaanite stages of the city, before it was conquered by David, did yield many findings inside the City of David digs, including sophisticated defense and water systems. But researchers are having difficulty identifying an imperial capital of a mighty unified kingdom as described in Scripture. Most researchers therefore suspect that at during the so-called Davidic era, Jerusalem was at most a town, smaller than the Canaanite Jerusalem that preceded it and the Jerusalem of the days of the independent Kingdom of Judea that came after it. Someone who believes she did find the glorious Jerusalem of David is Dr. Eilat Mazar, the furthest to the right in the biblical camp. Her grandfather was Prof. Benjamin Mazar, a founder of Israeli archaeology and one of the greatest excavators of the city and a believer in the biblical thesis. In archaeological circles, Mazar is practically a one-woman camp of her own. Again and again she finds evidence of Bible lore, stressing the connections between the text and the findings. Her two most famed discoveries are a large stone building she identified, in 2005, as David’s palace in the City of David, and “Solomon’s wall”, excavated in the area called the Ophel on the southern slope of the Temple Mount five years later. Both structures are certainly impressive, but dating them to the period of David and Solomon, and their direct attribution to those kings, are controversial. Many archaeologists disagree with Mazar’s dating of the palace, claiming the findings she used in order to date the structure to the Davidic period are weak and it was actually built in a later period. Solomon’s walls elicited similar reactions and it is hard to say that Mazar has succeeded, thus far, in persuading significant parts of the archaeology community of her position. Sometimes, she says, however convinced you are of your truth, you can't budge a soul. But then there's the question of who exactly built the Galilean city of Hazor. Who built, and burned down, the capital of the Galilee? One site that has unhelpfully lent ammunition to both the minimalist and bible camps is Tell Hazor (or Hatzor) in the Upper Galilee. Monumental city gates found there, and in Gezer and Megiddo (a.k.a. Armageddon) suggest the existence of a powerful United Kingdom after all, if they really do date to the Davidic era. The monumental gates were discovered at the three tells in the 1950s. 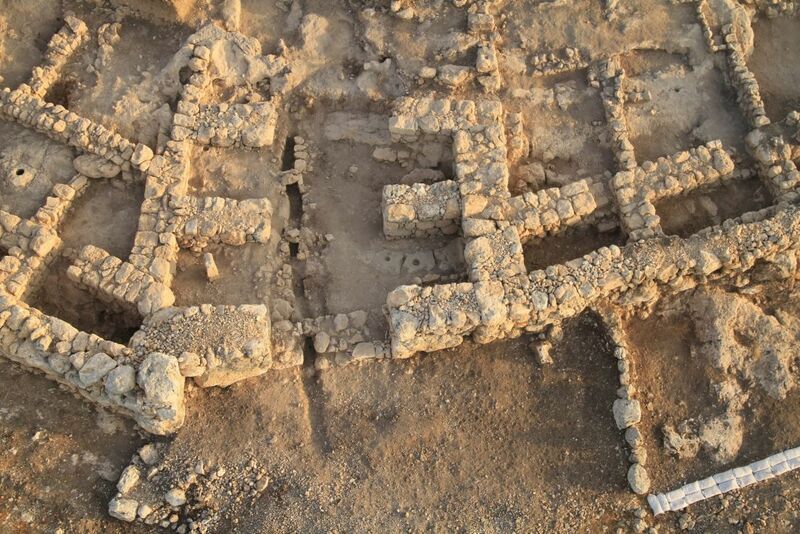 The archaeologist Yigal Yadin (also former deputy chief of staff) dated them to Solomon's time and claimed they conclusively proved the existence of royal construction in cities far from Jerusalem. In other words, there had been a powerful kingdom capable of such monumental works. If the gates were indeed built in the 10th century B.C.E. (as Yadin said) and if they do indeed resemble one another, then a unified kingdom with its capital in Jerusalem is the natural candidate for having built them. But even before Herzog set a cat among the Israeli archaeological pigeons with his Haaretz article, doubts were rising about the gates' dating. For instance, by Finkelstein, who thinks they were built by the northern Israelite kingdom that flourished in Samaria some 100 years after the Jerusalemite kingdom, not by a powerful unified kingdom that had its capital in Jerusalem. Jerusalem only earned respect because the Kingdom of Judea survived after the Kingdom of Israel was destroyed, he says: The parts of the Bible written in Judea, during the 7th and 8th centuries B.C.E., made a point of minimizing the northern kingdom, for instance describing the kings of the Israel kingdom as sinners. But the crux of the disagreement today concerning Hazor is who exactly destroyed it in the 13th century B.C.E., and whether the culprits might have been the early Israelites, under the leadership of Joshua Bin Nun, fighting the Judahites. The head of the Hazor excavation, Prof. Amnon Ben-Tor of Hebrew University, has been exploring the huge mound since 1958. Much of the excavation has targeted a vast destruction level dating to the 13th century B.C.E. In 2012 Ben-Tor and Dr. Sharon Zuckerman unearthed the site of a great conflagration. Among other things they found there were vessels containing burned wheat grains. This fire is exactly congruent with the Book of Joshua, says Ben-Tor. “And they smote all the souls that were therein with the edge of the sword, utterly destroying them; there was none left that breathed; and he burned Hazor with fire” (Joshua 11:11). Ben-Tor is convinced that Hazor was burned down by nomads, who would later become united under the name “the Children of Israel.” He reaches this conclusion by a process of elimination. “Who could have destroyed Hazor? If not people from outer space, there are a limited number of options," he says. "The Egyptians didn't pass through Hazor, so was it the Sea Peoples [Philistines]? Not one single pottery fragment suggests as much. Maybe some other Canaanite city did it? No, they were all in bad shape. Who is left? The ones who have a tradition of having done it. They are guilty until proven otherwise. "I don’t know if Joshua actually existed but I say that the story told in the Book of Joshua about the destruction of Hazor has a grain of historical truth. The people who wrote it were in possession of the information,” Ben-Tor concludes. His partner in the dig, Zuckerman, who died in 2014, proposed that the fire was caused by inhabitants of lower Hazor rebelling against the elite who dwelled in the palaces at the top of the mound. The houses in the lower part of the city were not burned, she noted – and the dating of the fire doesn’t accord with the time of Joshua, mid-13th century B.C.E., but was about 150 years earlier. Timna: Who ran the copper mine? Five hundred kilometers south of Hazor is Timna, a desert site featuring zero monumental structures, but mainly shafts for mining copper ore, remains of furnaces, and vast piles of rocky rubble. Originally Timna, where excavations began in the 1950s, was attributed to the 10th century B.C.E. and to King Solomon. Hence its popular name "King Solomon's Mines" (yes, like the title of the 1885 book by Sir H. Rider Haggard). Then the excavators became convinced that Timna had been mined by the ancient Egyptians, and moved its date to the 13th century B.C.E. Now, use of more advanced scientific tools led to a third postulation: that most of the activity at Timna indeed took place in the 10th century B.C.E. Okay, that's King Solomon's era, but what about King Solomon? The head of the excavation team at Timna, Dr. Erez Ben-Yosef, has a complex answer. The first excavator at Timna was American archaeologist Nelson Glueck, among the fathers of biblical archaeology. He thought the Timna mines were part of Solomon’s kingdom and figured that Solomon kept a fleet in the Red Sea bay of Eilat. Thus the name “King Solomon’s Mines” took hold. Then in 1969 the archaeo-metallurgist Prof. Beno Rothenberg discovered a large Egyptian temple at Timna, which led to the thesis that it was controlled by Egypt. 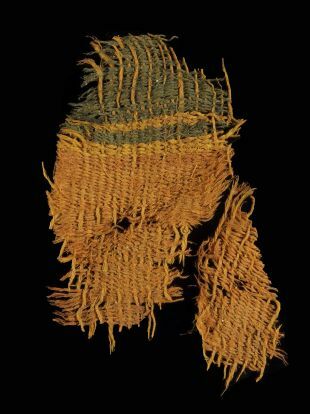 Nine years ago, along came Ben-Yosef and sent date pits and scraps of cloth for carbon-14 dating, and the picture changed dramatically. The site indeed turned out to be 10th century B.C.E., a.k.a., of the Davidic/Solomonic era. 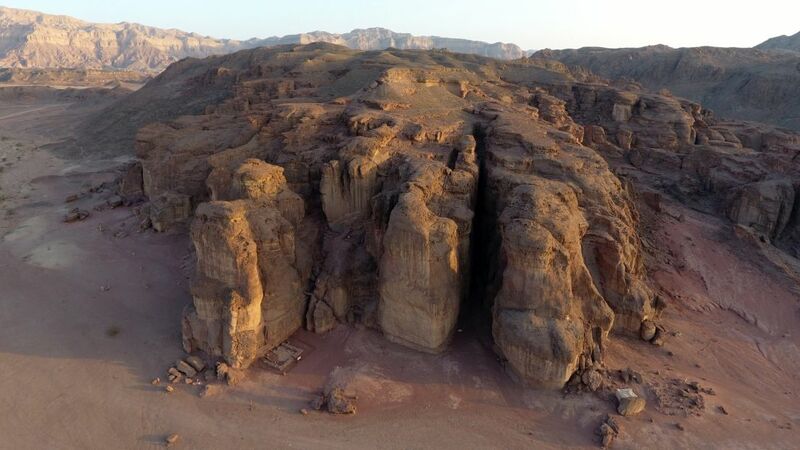 More and more tests showed that the height of copper mining activity at Timna occurred during that period of the United Kingdom, which may or may not have existed in Jerusalem, 300 kilometers to the north. Timna was also contemporary with Qeiyafa. Timna was an important source of copper in the ancient world. Items of copper that originated in Timna have been found as far afield as Greece. But who mined there? Who controlled it? The story gets more complicated because on the other side of the Arava Valley, across the Jordan River, is another large and sophisticated copper production site called Feynan. So was there some large, sufficiently powerful kingdom that could manage this enterprise? The problem is that in the 10th century B.C.E., neither side of the Jordan had a kingdom that clearly filled this requirement. No serious archaeologist today thinks that if there was a King Solomon, his rule reached as far south as Timna. Ben-Yosef suspects that very search was born in sin. He postulates that Timna was mined by nomads, who left behind no trace for archaeologists. They were invisible to history. In short, Ben-Yosef thinks the desert area had been ruled by nomadic Edomite kingdoms that operated huge copper mines but left behind no significant cities. “Fortunately for us, they engaged in something that leaves evidence [mining]. Had they engaged in trade, we wouldn’t know about them at all," Ben-Yosef says. "But it gives you an understanding about what nomads are capable of." Timna copper has been found in ancient Greece, he points out, and in Aram Damascus. Wouldn't there be evidence even if nomads? No: "From the perspective of archaeology, nomads are always a simple society, sort of early Bedouin. It is true that this is an anomaly but it has happened in history. We don’t, for example, have any archaeological evidence from the first hundred years of Genghis Khan’s empire, which was the largest empire in the world,” Ben-Yosef points out. Thus, he cautiously postulates, the solution to certain anomalies between Scripture and science could be the archaeological invisibility of nomads. Possibly, for example, the great 10th century kingdom based in Jerusalem didn’t have fortified settlements but did have a large, powerful population within. Typically, archaeologists discount nomads, says Ben-Yosef – but they don't realize the nomads could have "played a winning game" because they look only at stone. "The bottom line isn’t whether or not David existed but rather that we have to be humble, much more humble,” he sums up. Professor Aren Maeir of Bar-Ilan University has a theory about the United Kingdom, based on charisma. So, 18 years after the original article in Haaretz, who has won the debate? That still depends who you ask. Eighteen years ago, Herzog’s article powerfully threw the argument towards the minimalists, at the expense of the scriptural approach. Discoveries since then have lent a little more credence to the biblical tales. Answers that once seemed clear have become more nuanced. But in the case of Jerusalem, the bible and the United Kingdom, identity and politics get involved. Yet perhaps Herzog’s article, like the Bible itself, should be read in light of the period when it was written, a few months after Ehud Barak defeated Benjamin Netanyahu in a national election and, briefly, became prime minister. Israel embarked on peace talks with the Palestinians and withdrew from the security zone in Lebanon. Optimism rose. But 11 months after the article ran, the Barak government’s major move failed and the second intifada broke out. The Israeli public turned rightward. Tolerance of the critical position weakened. At an event marking 50 years of settlement a few weeks ago, Prime Minister Benjamin Netanyahu did not dwell on the nuances of the archaeological debate. “What has enchanted me more than anything was the simple, clear and distinct fact that we are walking in the paths of the Bible,” Netanyahu stated. “Here, right here, the fathers of our nation trod the paths from Hebron to Jerusalem. Near here, in Bethlehem, King David was born. There he was anointed king, and not far from here David fought Goliath, the Hasmoneans fought the Greeks and Bar Kochba – the Romans." Maybe he did. Maybe not.